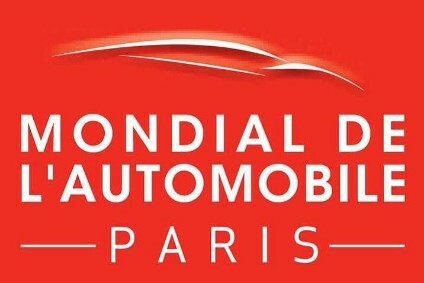 Vehicles which made their global debuts at the 2018 edition of the Paris Mondial de l'Automobile are named below. Information on the majority of the following models can be found by searching PLDB, just-auto's global vehicle database. Simply click on the link at the end of this list. Audi A1 Sportback: no A1 with this generation due to only small demand for three-door cars in the segment, no diesel engines (yet) either. Audi A4 facelift: minor changes consist mostly of new bumpers and fresh detailing for the grille, another facelift is expected in 2020 or 2021. Audi e-tron: this rival for the Jaguar I-Pace and Mercedes EQC400 has two cooled asynchronous motors, a 95kWh battery and a claimed range of up to 249 miles (400km) on the WLTP test cycle. Top speed is quoted as 200km/h. As well as AC charging, DC fast-charging of up to 150kW via high-speed charging stations is possible. In 30 minutes, the battery can be charged at up to 80 per cent of its capacity. A less expensive variant with a smaller battery pack is due to be added by the end of 2019. One of several innovations with the e-tron is optional virtual exterior mirrors for certain countries where legislation allows them. 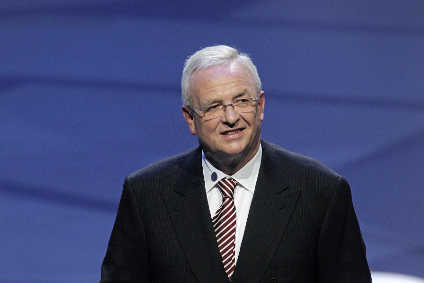 Audi Q3: official details were released on 25 July, front end has a strong link to the Q8. At 4,485mm it is 97mm lengthier than first Q3. Audi TT facelift: new grille and other subtle changes; may not be replaced at the end of its lifecycle in 2021 due to segment's ongoing contraction. BMW 3 Series: G20 is slightly longer than today's F30, Touring will be added in 2019 along with a GT and an Li for China, the electric 3 follows in 2020. BMW M5 Competition: has claimed outputs of 460kW (625hp), while torque of 750Nm is identical to that of the M5. BMW X2 M35i: fastest variant of the range has all-wheel drive and a 1,998cc four cylinder petrol turbo engine which produces 225kW/306PS and 450Nm. BMW X5: G05 is the fourth generation model; will be built in the USA and, for the first time in the history of the model series, in China too. BMW X5 xDrive45e iPerformance: plug-in hybrid is claimed to have an electric range of up to 80km, power comes from a 210kW (286PS) turbocharged 3.0-litre six-cylinder petrol engine and an 82kW (112PS) motor, combined maximum output is 290kW (394PS) and 600Nm. BMW Z4: four-cylinder variants; only the 250kW six-cylinder M40i First Edition was revealed at Monterey Week in August. Citroën C5 Aircross Hybrid Concept: not a hybrid in fact but a plug-in hybrid, previews a production model which will be built in China and France in 2019. DS 3 Crossback: 4,112mm long front-wheel drive crossover, choice of 100, 130 and 155PS 1.2-litre petrol engines as well as 100 and 130PS 1.5-litre diesels. DS 3 Crossback E-Tense: brand's first battery-electric model, range claimed to be in excess of 300km (WLTP), outputs are 100kW (136PS) and 260Nm. Ferrari Monza SP1 & Monza SP2: two roadsters, one a single seater and the other with a passenger seat, each powered by a 603kW (810cv) 6,496cc V12. These are the first models for a so-called 'Icona' line. That means stratospheric pricing and in this case combined build of 500 units. GAC GS5: developed with an A10 project code, this SUV is due to be manufactured in China in 2019 but its world premiere in Paris was curious: if Guangzhou Auto has firm intentions to launch the GAC brand in certain European countries it is yet to communicate this. Hyundai i30 facelift: the only exterior change is a grille which is now identical to the i30 Fastback's but there is no update for the i30 N.
Hyundai i30 Fastback N: as per the i30 N, the front-wheel drive Fastback is powered by a 202kW (275PS) and 353Nm version of Hyundai Motor Group's 2.0-litre four-cylinder turbo engine, has a six-speed manual gearbox, electronic limited slip differential, electronic controlled suspension, rev-matching, launch control and a lap timer. Infiniti Project Black S: the same name as a Q60-based concept first seen at 2017 Geneva motor show but there is a new powertrain. Now it produces 420kW (571PS) from the combination of Nissan's biturbo VR30 V6 and three motor-generators: one (MGU-K) harvesting braking kinetic energy and the other two (both MGU-H) recycling heat from exhaust gases. This energy us stored in a 4.4kWh battery positioned at the rear of the car. Kia Ceed GT: powered by a turbocharged 1.6-litre four-cylinder petrol engine which produces 204PS and 265Nm. Unlike the former cee'd GT, the Ceed GT can be ordered with a seven-speed DCT. A six-speed manual gearbox is standard. The ProCeed GT has the same engine. Both cars will enter production at KME's factory in Slovakia during November. Kia ProCeed including GT: five-door shooting brake, a production version of the Proceed concept from the 2017 Frankfurt IAA, replaces the pro_cee'd. Lexus RC facelift: changes are minor and there is no news of any fresh engines although Toyota says "throttle response of the turbocharged 2.0-liter engine has also been enhanced to deliver a more direct feeling of acceleration". Mercedes-AMG A 35 4MATIC: 225kW (306PS) and 400Nm from a turbocharged 1,991cc four-cylinder engine, seven-speed dual clutch transmission, first deliveries in January. Available only as a five-door hatchback at this stage but a sedan for China and North America might follow. An A 50 4MATIC should be added in 2019 as a rival for the Audi RS 3. Mercedes-AMG GT 43 4MATIC+ 4-door Coupé: a fourth variant is added to the GT Coupe range, this one's six-cylinder engine produces 270kW (367PS). Mercedes-Benz A-Class Sedan: follows the world premiere of the extended wheelbase sedan at the Beijing motor show in April. Mercedes-Benz EQC400: 4.7m long electric SUV and therefore set to compete with the Jaguar I-Pace, Audi e-tron and future BMW iX3. Mercedes-Benz GLE-Class: based on MHA (Modular High Architecture), will be manufactured in the USA and at the new Russian factory. Peugeot E-Legend concept: autonomous and electric four-wheel drive coupé with styling influenced by the 504 Coupé. Battery pack has a claimed capacity of 100kWh, power is 340kW and torque is 800Nm. Peugeot 508 SW: this estate will be added to the line which builds the 508 at the Mulhouse plant in November, a PHEV powertrain for both will follow in 2019, both cars have frameless side windows and are identical ahead of the B pillars, estate has more headroom in the back due to a roofline which is less aggressively angled. Peugeot 508 SW HYbrid: why Peugeot calls this car a hybrid when it's a plug-in hybrid is a mystery. Production at Mulhouse starts in 2019. Porsche 911 Speedster: revealed back in June as a concept, now comes news that Porsche will build it as a limited edition. Renault Kadjar facelift: as well as the styling changes, the Daimler-R-N-M Alliance 1,332cc 16v turbo petrol four-cylinder 1.3 TCe is a new engine for the Kadjar, available in TCe 140 (103kW/140PS) and TCe 160 (117kW/160PS) forms. As for diesels, these gain power and are called Blue dCi 115 (1,461cc, 8v, 85kW/115PS) and Blue dCi 150 (1,749cc, 16v, 110kW/149PS), gains of 5 and 20PS respectively. Renault K-ZE concept: the future Kwid Zero Emissions which was announced last November appears in pre-production form. Renault Mégane R.S. Trophy: 224kW (300hp) and 420Nm compared to 205kW (280hp) and 390Nm of 1,798cc turbo Mégane R.S. engine. SEAT Arona TGI: 90PS 1.0-litre three-cylinder engine runs on petrol or compressed natural gas which is stored in three tanks. SEAT Tarraco: public premiere follows an 18 September media world debut. There are five- and seven-seat variants and these are aimed at the Land Rover Discovery Sport, Ford Edge, Kia Sorento and Hyundai Santa Fe. A PHEV will be added during 2019 but the first engines at the January market launch will be 150PS 1.5 and 190PS 2.0-litre petrols and 150PS and 190PS versions of a 2.0-litre diesel. Škoda Karoq Scout: the only Karoq to have standard all-wheel drive also comes with special alloy wheels and wheelarch extensions. Škoda Kodiaq RS: powered by a 239PS 2.0-litre biturbo engine, the most powerful diesel yet to be fitted to a Skoda. Škoda Vision RS concept: 4,356mm long five-door hatchback offers a preview of next year's replacement for the Rapid hatchback. smart forease concept: roadster based on the electric fortwo cabriolet. Suzuki Jimny: motor show premiere following its announcement in July, first new generation of the tiny 4x4 in 20 years. Toyota Corolla Touring Sports: estate/wagon will be built only in England and sold mainly in the UK and other European countries. Toyota Yaris GR Sport: no addition power for the 1.5-litre hybrid powertrain, just lowered suspension and a solid anti-roll bar. VinFast Lux A2.0 and Lux SA2.0: previews of a sedan based on the former F10 BMW 5 Series and an SUV which is the outgoing F15 X5 with a new body. Engine is BMW Group's 2.0-litre four-cylinder petrol turbo and there is to be an eight-speed ZF automatic.